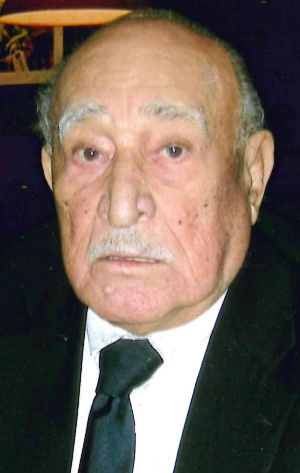 You are here: Home / Obituaries / Juan R. Ocasio, Sr.
Juan R. Ocasio, Sr., passed away on February 6, 2019. He is predeceased by his first wife; Ana, son; Pedro, and stepson; Jose L. “Luis” Velasquez. He is survived by his wife; Sofia, his children; Juan Jr. (Ruby) Ocasio, Lititz, PA, Dolores ‘’Dee’’ (Wally) Walter, Ephrata, PA, Carmen (Gary) Ford, Akron, PA, David (Jane) Ocasio, Lancaster, PA, several grandchildren and great-grandchildren, two brothers; Ramon Ocasio, Reading, PA, and Rafael Ocasio, P.R. A memorial service will be held on Tuesday, February 12, 2019 at 11:00 AM at DeBord Snyder Funeral Home, 141 E. Orange Street, Lancaster, PA 17602. A visitation will occur from 9:00 AM until the time of service. Offer Condolence for the family of Juan R. Ocasio, Sr.
My sincere condolences to the family, The Bible tells us about the hope for all who die.John 5:28,29. The Resurrection! You will see Juan again ! On Earth! We know this to be true for the author of the Bible, Jehovah God cannot lie. Titus 1:2. My hope is that this Bible Truth brings you peace and comfort as it has for me. Mi más sentido pésame para todos. Mis oraciones están elevadas a Dios por fortaleza para cada uno de ustedes. Tío Juan fue de los mejores. Recuerdo con cariño cada una de sus visitas y las risas interminables en la marquesina de Papa Víctor. Un abrazo de fortaleza para todos. Sophia and the Ocasio Family. May God comfort you in your of need. I have a very fond memory of Juan and the family room to. We lived next door on Queen St. I was also privileged to know Pedro. I will keep the family in my prayers. I never had the opportunity to meet Juan but I enjoyed meeting with Sofia many times as were making his funeral arrangements. Sometimes we had some language challenges but we were patient with each other and became friends. Sofia, I am sorry I’m not there but I know everything will be perfect.